The recent resignation from the Council of Councillor June Bull has left a vacant seat in Orton Longville and reduced the Conservative majority on the council. So, unfortunately, this means the residents of Orton will have a bye election next month to choose a new councillor. Now I will take a moment here to thank June for all her work. She has been an outstanding local councillor for the area and incredibly hard working and she formed a formidable team with UKIP’s John Okonkoswki in representing the ward. 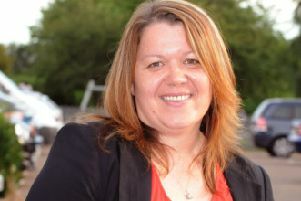 She was a superb councillor and is a good person all round. But, residents need to look carefully at who they chose as councillors, as there is a lot going on in the city at the moment and we need strong leadership, and equally strong opposition, but, not just opposition for the sake of it. We should back the right ideas and oppose strongly ones which are not right for the city, and here I’m disappointed by the Labour decision not to engage with the budget setting process, but to go off and do their own thing. That way we will not get a decent cross-party view into the budget process, and it will degenerate into an ideological squabble yet again. The city is growing and we need to ensure we manage it. We can’t be demolishing community facilities to build houses, as there’s then no facilities for the new ‘community’ to use, nor should development be shoehorned into areas that then have a negative effect on the existing residents! Development must be positive for existing residents in the city, as well as bringing in future residents. Too often we’re seeing developments in areas that do not want them for very good reasons, where they will have a detrimental effect on the local community and it’s residents. It’s no good building a city with all the houses you need if you build somewhere that no one then wants to live. This links very closely to the continuing loss of community public houses around the city. Locally, we have lost the Golden Lion and the Fenman in Stanground, the Cherry Tree, and The Heron is due to be shut in September. These are key parts of the community, bringing people together and loosing them is not good for the local community, even if you are not a regular pub goer. Finally, the other big issue at the moment is the state of the rail service to London. I don’t think any will pretend that the GN/Thameslink service has been anywhere near close to acceptable for some time and the recent fracas has shown them to be actually incapable of running the service in any effective manner. We need a reliable, cost effective service, and we deserve far more than the mess we have had since the new franchise was awarded. Change is needed. On a positive note, the city did a fabulous Armed Forces Day, and much deserved for those who serve this country so well, dangerously, and often for little reward.